Mazda's CX-9 crossover is all-new this model year, getting a full redesign that comes with an updated exterior, a new engine option and a refreshed cabin. Keep reading our 2016 Mazda CX-9 review below to discover all the fantastic new features and equipment available on this very popular crossover in Houston. Looking first at the Mazda CX-9's brand new exterior, drivers will notice that the crossover has a more aggressive styling that feels much more modem than its predecessor. This new styling is part of Mazda's Kodo "South of Motion" design language that adds an elongated hood, a more prominent grille, short overhangs and larger wheels to the crossover. On top of this, many 2016 Mazda CX-9 reviews have called out the crossover's new chassis, which is much lighter than previous models. This new chassis will help the crossover lose nearly 200 pounds, which should go a long way in reducing fuel costs and increasing driving agility. The crossover's newly refreshed cabin will feature a variety of impressive equipment and amenities, including a new vertically stacked center console and an aluminum-accent dashboard. There will also be several excellent premium features, such as a Bose audio system, a MAZDA CONNECT™ touchscreen infotainment system and Auburn Nappa leather seating. 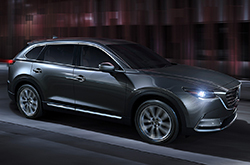 The all-new 2016 Mazda CX-9 in Houston will also feature a brand-new turbocharged engine that has been widely praised by critics and fans a like. The turbo 2.5-liter inline-four-cylinder will be the first turbocharged powertrain offered by the automaker to feature Mazda's fuel-saving SKYACTIV® TECHNOLOGY. The engine produces a very nice 227 horses and will save up to 20 percent on fuel when compared to the outgoing V6 engine. Other exciting new amenities on the crossover include its array of available advanced safety features like radar cruise control, lane-departure warning, forward obstruction warning, Smart City brake support, high beam control and lane-keeping assist. To find out more about the all-new 2016 Mazda CX-9 in Houston, visit us at Joe Myers Mazda and take this exceptional new crossover for a test drive today! In several key areas, the 2016 Mazda CX-9 wins over competing vehicles like the 2016 Dodge Durango, Ford Edge and the Chevy Traverse. The Mazda CX-9's progressive onboard technologies and low pricing are just a few of the positive qualities that shoppers will be won over by. Compare its price against the vehicles in its class and you'll clearly see that it's a truly amazing value, which makes it a first choice for many Houston Mazda customers. Look over our Mazda CX-9 Facts list; look just below this paragraph for bullets. Can the competition beat the Mazda CX-9? 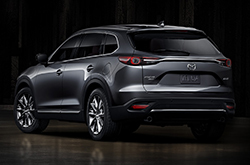 Do you want to know more about the 2016 Mazda CX-9's features and specs? 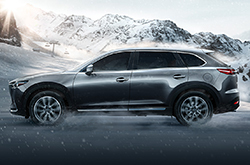 After reading the review above, visit Joe Myers Mazda and experience the Mazda CX-9 up close. It's difficult to find hard facts about a large array of cars in one spot. That's why it's OUR job to offer reviews from skilled auto critics, so you have access to these tools on one site. 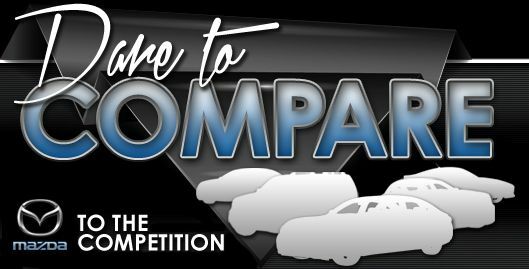 Everything perspective car buyers need to make wise decisions is right here, including info regarding mpg and other specs. Each article is bundled with important material and specs - all at your fingertips. Now that you've checked out Joe Myers Mazda's CX-9 review, please contact us to schedule a test drive or learn about lease offers and deals from the OEM.